Owing to its, optimal profile Designs developed by computer simulation this tire offers optimal running properties and high travelling comfort. The optimized profile Design with straight grooves provides for high aquaplaning. The silica tread compound guarantees optimal brake behavior on dry and wet underground. Silica (silicic acid) provides as a component of the rubber mixture for a better wet adhesion of the tire. Beyond that this material affects run achievement and rolling friction positively. 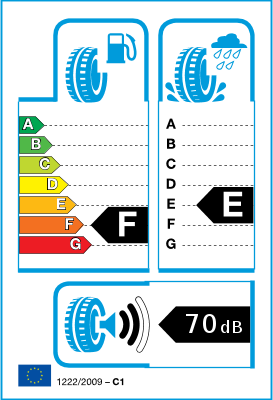 Given the limited road noise, and obvious good roadholding in wet and dry conditions, the car driver feels safe and complete confidence in the tyres performance. I intend to use the services of this company again in the near future. 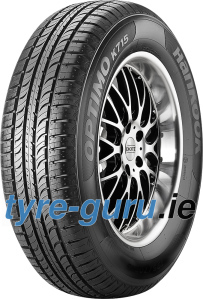 Thank you for an excellent service from the ordering of the tyres to their delivery. John. Not only would I perchase this tyre again, I have brought two tyres to replace those getting low. These tyres on the i10 work well in the snow when driven with consideration for the conditions . However in wet and dry could do with better traction when pulling away but good at all other times. I'm happy with the tires.